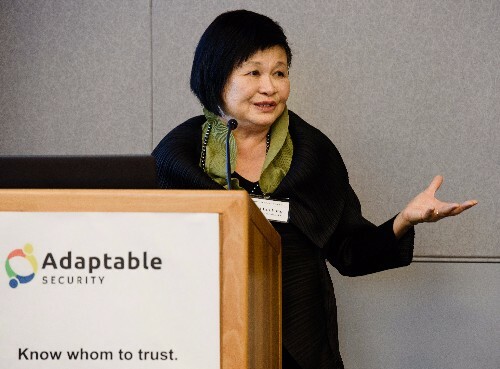 The prestigious ADA Awards are given annually to leaders and organizations who have adopted or inspired the adoption of recognized cybersecurity standards in key sectors. 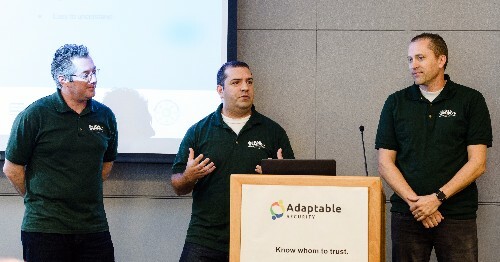 The winners are nominated by the Adaptable Security’s community and verified by experts. Cybercrimes continue to evolve and climb even after major investments in fraud-fighting technologies. 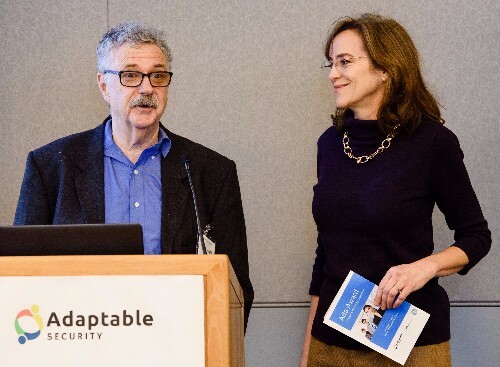 While many organizations are challenged by budget and expertise shortages to protect our data, our winners have found ways to protect everyone in their care and beyond. We are thankful to them and hope their successes inspire more organizations to overcome challenges. Because our data safety is not a by-product. The ADA Awards couldn’t have happened more timely. The Awards bring hope for protecting our data after another record-breaking year of data breaches, shocks, anger and fatigue1. Data safety can not only be done, but is a lot easier now for the 64% of US residents who are concerned. 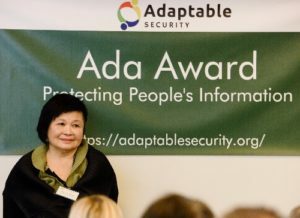 ADA, a loving nickname for Adaptable Security’s web platform, was introduced at the Awards ceremony. ADA shows people whom they can trust before, during and after a data breach. Want to know if an IP camera is safe enough to buy? Search for it on ADA, and you’ll get your answer instantly. 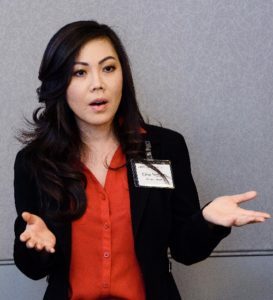 Before ADA, it would take you hours traversing the whole Internet to find out. Want to be sure that your Whole Foods Market or restaurant is safe to eat at today? An ADA alert or review lets you have the confidence with minimum time on your part. What if you want your child’s schools or doctors offices to ensure data safety? Tell ADA on the website. 1. A few high profile data breaches are as follows: Molina Healthcare, Equifax, SEC, Deloitte, Whole Foods Market, Hyatt Hotel, and Uber. Don’t worry if you have missed some of them. Cybersecurity professionals can’t keep up either. 2. 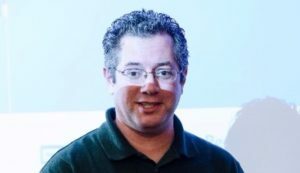 Matt Mansfield, “CYBER SECURITY STATISTICS – Numbers Small Businesses Need to Know,” https://smallbiztrends. com/2017/01/cyber-security-statistics-small-business.html, (Jan 3, 2017). ADA will follow up with the business and update you. ADA’s experts will provide vendor-independent services pro bono or at discounted prices. Small and medium-sized businesses (SMB), government agencies and nonprofits get extra help from ADA because they are equally targeted, if not more, by cyberattacks; yet only 14% of SMBs felt adequately protected per their own account due to pain points in budget and expertise2. As a case in point, Equifax’s data breach could have been prevented, if the researcher posted a simple review on ADA after the advance warning to Equifax fell on deaf ears. Another case in point, when Wendy’s Restaurant investigated the data breach over a six months period, ADA’s alerts could have prevented many customers’ credit card compromises. The ADA Awards ceremony took place in San Jose MLK Public Library on November 21, 2017 before Cyber Monday. The ADA Awards is organized by Adaptable Security (ADA for short) in collaboration with its strategic partners, including EP3 Foundation, ISC2 Silicon Valley Chapter, ISC2 Center for Cyber Safety and Education, People Centered Internet and People First. In 2016, California experienced the highest incidence of cybercrime in the nation, and suffered the greatest financial loss of any state. Nearly 3 out of every 5 Californians has been the victim of a data breach. I’m really worried about my daughter’s high school seeing their ADA rating. But we can stay safe online – you have showed us the way in your organizations and beyond. We’re honored to recognize you today. We are grateful for you. Let your achievements inspire more people to fight the climbing cybercrimes. We must band together as friends, neighbors, and local businesses if we want responsible digital communities. We all have a role to play. Each of us can do something to improve our digital skills and competencies. Let’s push the movement to greater heights together and better protect all our information. First, I’m so thankful and proud to be with you, the leaders who have protected our information in San Jose! 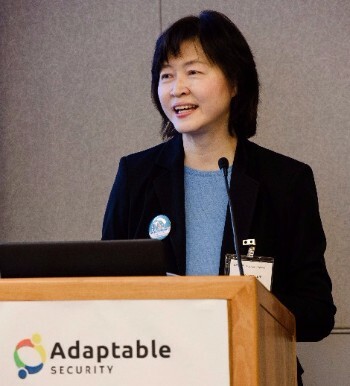 You’re the inspiration for ADA with your can-do spirits and accomplishments. ADA’s other inspiration came when I wanted to ensure my child’s information is safe at the doctors and schools away from damaging misuses. Children are at 40% greater risks than adults. I know as someone who has enabled the Secret Service to arrest hackers. In reality, answers like “too expensive,” and “not our job” are too common. Fortunately I have powerful friends. Together we built up ADA to combine our voices and solve the businesses’ pain points to protect themselves and us all. 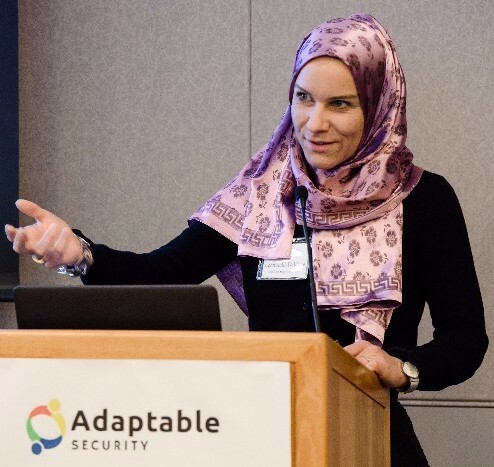 As the President of ISC2 Silicon Valley Chapter, we organize a monthly meeting for our information security professionals to stay current with the latest cybersecurity technologies and trends. 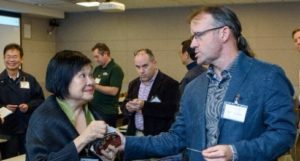 We are the liaison for members with ISC2 headquarters and an advocate for advancing our skillsets and careers for the benefit of cybersecurity for us all. We are proud to help! The time cannot be better to tackle the trust deficit associated with Internet Safety. 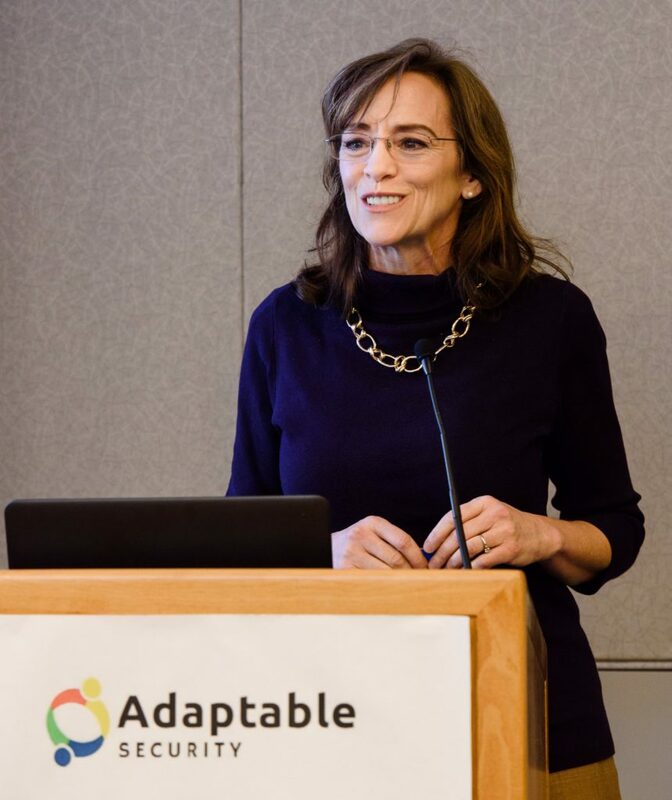 ADA is a missing piece in the puzzle of fostering trust and confidence in Internet safety. Thank you for all the hard work and accomplishments. As a society we must be as aware of keeping the Internet safe as we know we must keep our neighborhoods safe – not just the physical neighborhoods, the virtual neighborhoods. Our children can sit in the “safety” of their own bedrooms and in front of us in our living rooms and be attacked by bullying, subject to fraud and worse, as they go shopping online or looking for events and hanging out with friends. I co-founded the People Centered Internet with one of the most famous of the fathers of the Internet – Vint Cerf who is our chairman, because we believe in the idea of an Internet that can be of the people, by the people and for the people. 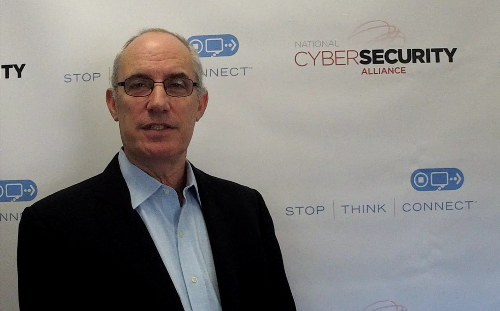 We have been recently joined by our Executive Director Dr. David Bray, former CIO of the FCC. As a new father, he could see the importance of rallying a participative network able to take on the challenges of the day. The City of San Jose, the Public Library, the Oak Grove School District, the O’Connor Hospital are just a few who are being recognized today. 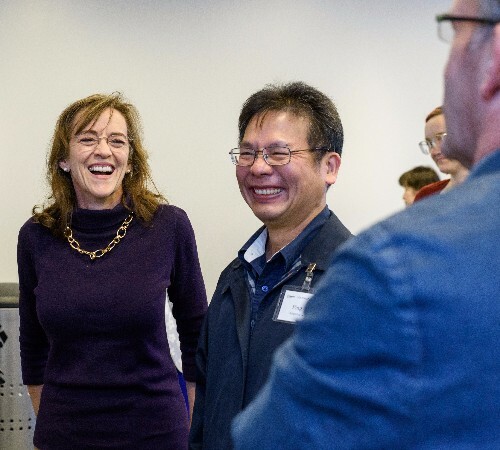 The rest of the country, the rest of the world can learn from the example of San Jose, a city at the heart of Silicon Valley – where the individual citizens, public servants, health care providers, educators and the librarians are all working together – because it will take all of us! Adaptable Security (ADA for short) presents Larry Magid the prestigious ADA Award for his influential voice in the media as an internet safety activist. Larry’s voice has been most respected and influential regarding Internet safety. Larry is heard every weekday on CBS-owned KCBS Radio. 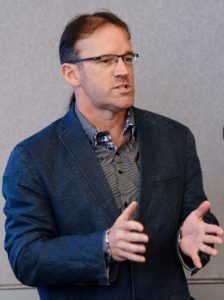 His prolific works have appeared regularly on CNET News.com, Forbes.com, Huffington Post and in the San José Mercury News. Larry authored the first popular publication on Internet safety “Child Safety on the Information Highway” in 1994 followed by another popular publication “Teen Safety on the Information Highway.” Larry further lends his voice as advisor to influential entities such as PBS Kids, the Family Online Safety Institute and the Congressional Internet Caucus, The Hub (children’s TV network) and the Facebook Safety Advisory Board besides sharing his wisdom as founder of SafeKids.com and SafeTeens.com, and co-founder and CEO of ConnectSafely.org. 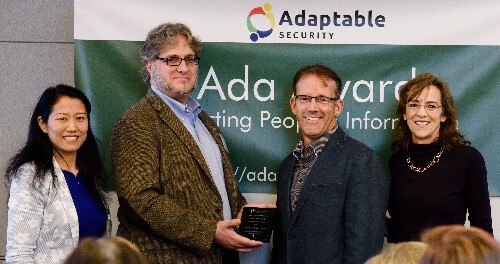 Adaptable Security (ADA for short) presents San Jose City CIO Rob Lloyd the prestigious ADA Award for protecting the city’s cyber ecosystem and citizens who live and work in San Jose with recognized cybersecurity standards and best practices. 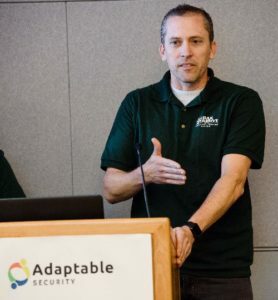 Government agencies often face extra challenges and many become low-hanging fruits for cybercriminals, but San Jose City leads the way in protecting people and the systems. Besides adopting secure leading technologies for the residents, Rob is an influential leader in forging public and private partnership, which maximizes the limited public resources. As a visionary leader, Rob takes proactive actions to provide the city proper guidelines, for example, in the use of IoT devices. 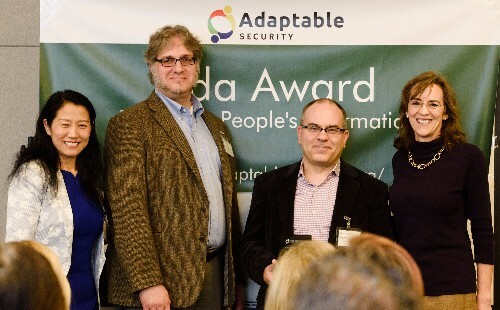 Adaptable Security (ADA for short) presents San José Public Library the prestigious ADA Awards for their Virtual Privacy Lab initiative. The Virtual Privacy Lab empowers one million San José residents to protect their information against cybercrime. The Library’s initiative showcases how to fight California’s cybercrime crisis, one community at a time. 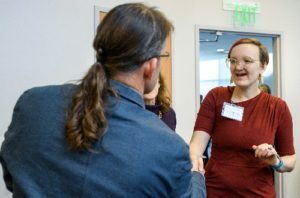 Erin’s steering and keen understanding of the importance of privacy and technologies is essential for the success of the Virtual Privacy Lab. 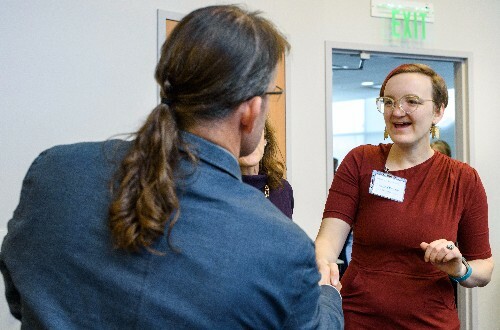 As the Innovation Manager, Erin keeps pushing for continuous improvements in cybersecurity and privacy for the Library and its patrons. 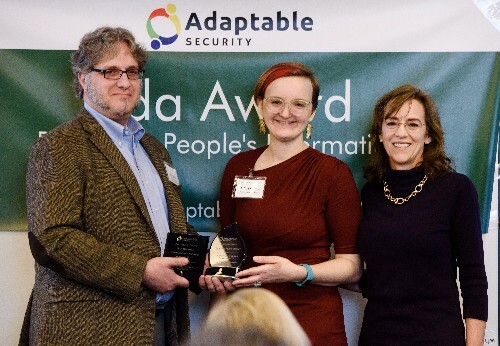 Adaptable Security (ADA for short) presents San José State University the prestigious ADA Awards for its outstanding education of next generation professionals in protecting people’s information. The University has been designated as a National Center of Academic Excellence in Information Assurance /Cybersecurity Education for academic year 2014-2019. 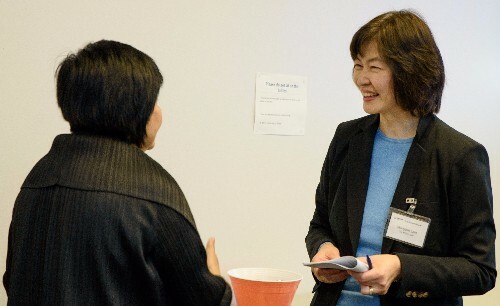 U.S. Department of Homeland Security and National Security Agency recognizes San José State’s “significant contributions in meeting the national demand for information assurance /cybersecurity education, developing a growing number of professionals with information assurance and cybersecurity expertise in various disciplines.” San José State has further partnered with industry leaders such as Cisco to benefit the San José community with more expertise, learning and outreach. 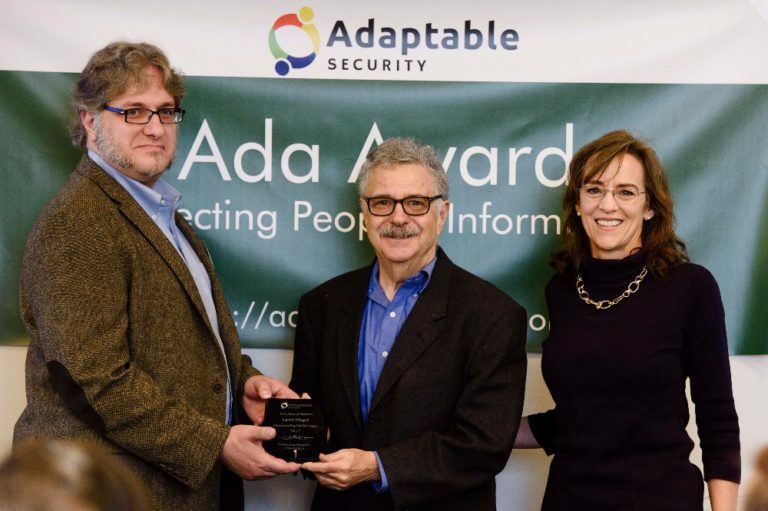 Adaptable Security (ADA for short) presents John Stewart the prestigious ADA Award for his vision of a Trust-Based Ecosystem of Technologies, Process and People. 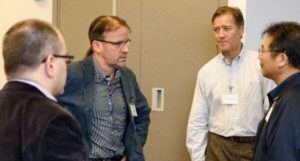 John’s leadership expands beyond his corporate role as the Chief Security and Trust Officer of Cisco Systems, Inc.
John’s vision is evident in Cisco’s security-built in technologies, security-built in development process ahead of the curve in industry, as well as a diverse and security-conscious workforce in his organization. 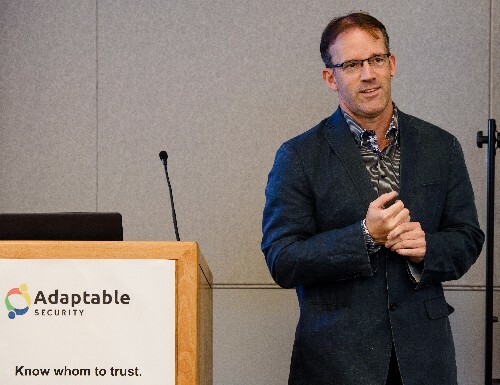 John’s vision extends to the latest technologies such as the Internet of Things (IoT), which offers a framework to the IoT industry in times of lagging legal guidance. 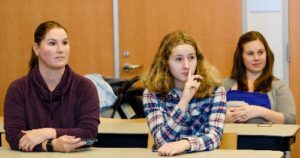 John’s organization partners with San José State University to empower the next generations to protect their information against cybercrime. 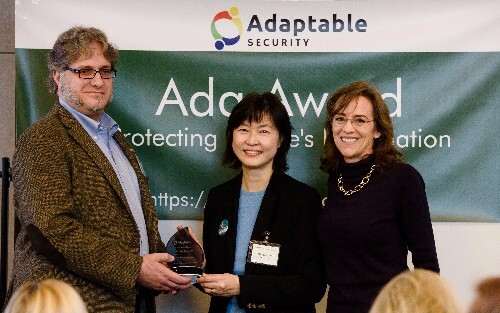 Adaptable Security (ADA for short) presents San Jose Oak Grove School District the prestigious ADA Award for their Ed Tech Team’s pioneering CA Student Data Privacy Agreements. Oak Grove School District has led by example with a comprehensive California Student Data Privacy Agreements, which has since inspired 75% of the 174 signed Agreements. Such Agreements greatly protect all the students, staff and administrators’ information with best practices against cybercrime. The team never tires of continuously adopting best practices throughout the school district. Adaptable Security presents O’Connor Wound Care Clinic the prestigious ADA Award for its outstanding protection of people’s information. But O’Connor Hospital has bucked the trend and proved that their clients enjoy both healthcare and security. 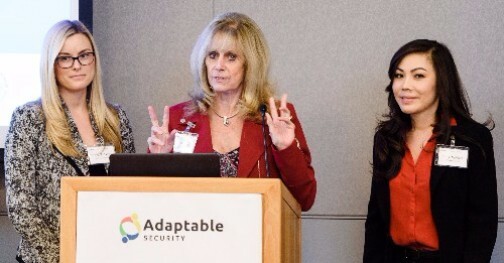 O’Connor Hospital showcases how to fight California’s cybercrime crisis, one healthcare provider at a time. 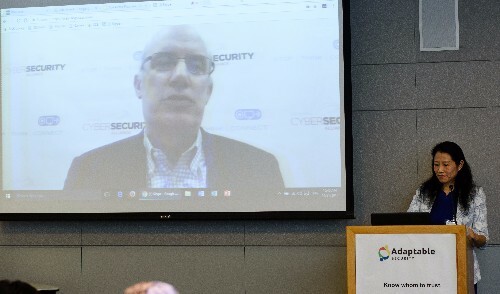 NCSA ​has ​been leading ​on ​the ​forefront ​of ​raising ​awareness ​of ​cybersecurity ​risks ​and ​cybercrime ​prevention through ​initiatives ​such ​as ​the ​National ​Cyber ​Security ​Awareness ​Month, ​and ​the ​STOP. ​THINK. CONNECT ​campaign. ​These ​campaigns ​have ​helped ​open ​people’s ​ears, ​eyes, ​and ​even hearts ​to ​cybersecurity ​threats ​and ​best ​practices, ​fortifying ​a ​shared ​responsibility ​across ​the nation ​for ​a ​safe ​and ​secure ​Internet. 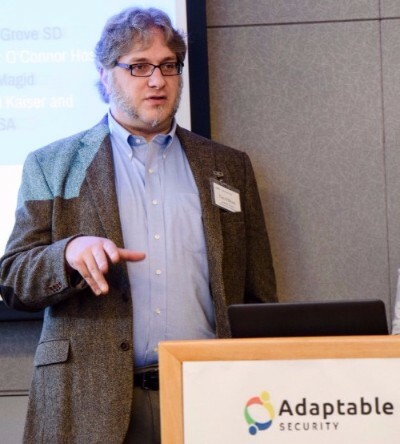 As NCSA’s Executive Director, Michael is instrumental in successful national campaigns. These campaigns have helped promote a safer, more secure internet for businesses, government and nonprofit organizations as well as individual users. Leaders like Michael have opened our eyes, showed us the way, and created a movement for a safer internet. First, thank you for recognizing the City’s efforts in cybersecurity. Rob had a commitment out of town, but asked me to connect with you in his place. 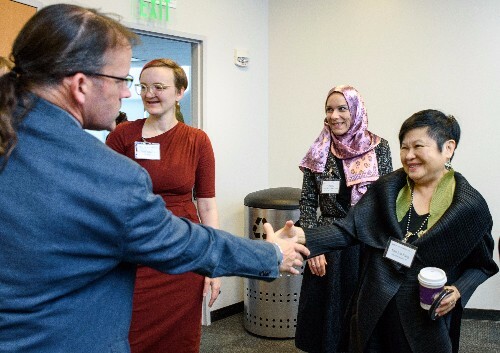 The wisest among us know the importance of alliance and community as we confront our growing cybersecurity challenges. We are only as secure as our most vulnerable partners and community members. The City of San Jose’s interests in cybersecurity are the same as yours – keep our families safe from malicious actors so they can thrive, while also protecting our businesses from cybercrime so they can grow successfully. It is a shared cause for action. The waves of Internet-of-Things technologies are upon us. Urgency has never been higher. We’ll have billions of more devices, an exponential increase in the amount of data to manage, and the impact of breaches will affect every facet of modern life. 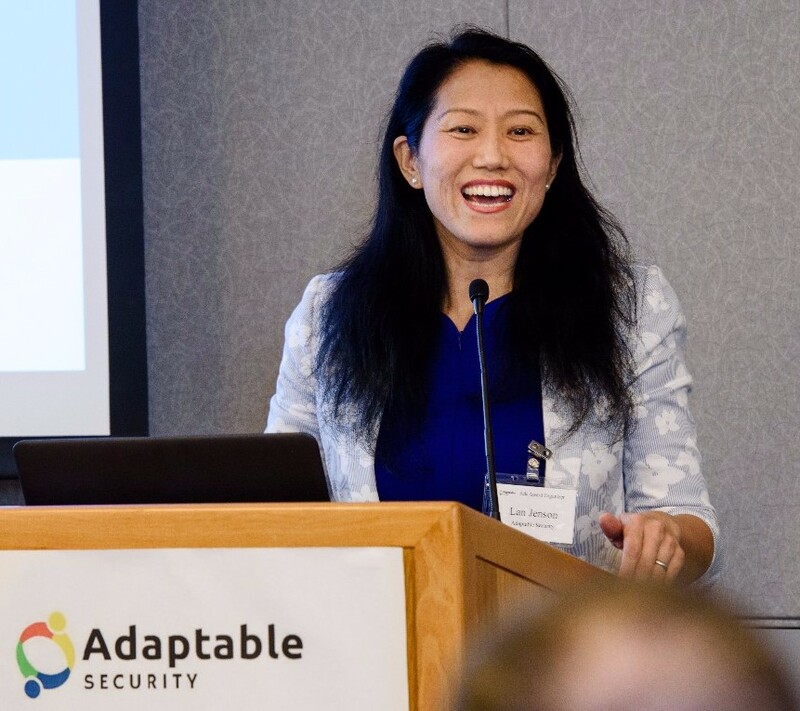 So, we thank Adaptable Security and the cybersecurity community for committing to the cause and offering Pro Bono services to improve security. We have so much to do. The challenges are evolving around us. But, we have great partners in each other. Congratulations to the other honorees. Let’s get to work.